Over a 15-year career, Ben has carried out work that bridges the cultural and economic gap between commercial media, the arts and People of Colour communities. Ben has worked in senior roles both nationally and internationally with several Arts Council England National Portfolio Organisations including Serious, British Underground, Punch, Bigga Fish and Continental Drifts. He has delivered creative projects for NHS, Mayor of London, SXSW, Global and Live Nation and has worked in the commercial music industry at SPZ Group and EMI Virgin Records. Ben has extensive experience of fund raising through public funding, commercial clients and VCF. Ben is a trustee of Pacitti Company, SPILL Festival and Peer2Peer Education. He is an advisor for PRSF Momentum Music Fund. Ben is on the steering committee for Help Musicians National Mentoring Fund and was a Fellow of the International Society of Performing Arts (2013-2016). Ben has an MA with distinction in Arts Administration and Cultural Policy from Goldsmiths, University of London. Marcus has an extensive background in Project and Event Management, both regionally and nationally, as well as creating and running various initiatives for public, private, and social enterprise sectors. Marcus has given talks on diversity, Hip Hop culture, and issues concerning young people. 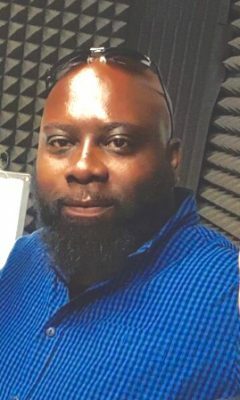 He was part of Hip Hop Summit Action Network UK, which helped to engage young people with political issues and empower them in becoming community leaders. He’s delivered film projects for Urban Voice, Urban Music Seminar, and DJTV and delivered music projects for Lewisham and Croydon Councils. Marcus was an advisor on the Apple/Virgin sponsored MediaWorks Project for homeless young people, and worked with MTV on BOOM. He pioneered a Back to Work scheme for people with mental health issues, in partnership with HMCTS and Hounslow council. He has worked with Youth Court, has been a diversity trainer, and was also part of the workgroup that overhauled Legal Aid. He sat on the SW Area Diversity Group. He has also recently worked on the ASWAC proposal to create education programs to fight female genital mutilation (FGM) in the UK. Nora Rahimian is a code-switcher and community-builder who helps organizations and artists develop social impact strategies through the use of arts and entertainment. She combines over 10 years of peacebuilding, social justice organizing, and project management experience with innovative arts-for-change and marketing strategies, including developing a model that was integral in the fight against Ebola. In 2014, Nora co-founded #CultureFix, a global collaborative network of artists, influencers, and cultural producers who use arts and culture to create social change in communities around the world. Since #CultureFix’s inception, Nora has spoken at SXSW, Rock the School Bells, Hip Hop Congress, and USC; partnered with organizations like ONE, BBC, Accountability Lab, #HipHopEd, and AJ Stream; and consulted for several popular artists around the world. Find Nora on Twitter and Instagram at @norarahimian. Suzanne Alleyne has more than 20 years’ experience of producing and consulting for high profile individuals and brands from Barclaycard to Wellcome Trust. Specialising in working at the intersection of commerce and culture her work as a producer covers corporate, media and lifestyle sports from pan-European brand launches in Iceland for Motorola to large-scale festival events for the V&A Museum. She has worked with a diverse portfolio of brands and individuals including Swatch, Switzerland Tourism, House of Lords, Adidas, V&A Museum, Chris Ofili and Zadie Smith. Her media clients have included Channel 4, ARENA, The Face, Wired, and GQ Magazine. She has a track record of working with mainstream and marginalised writers and poets on their professional development and associated shows and prior to that oversaw the successful relaunch of PR Week Magazine and the launch of the PR Week industry awards. Suzanne Alleyne is currently studying masters in Arts and Cultural Management at King’s College London and was named as one of 20 national Arts Council England inaugural changemakers receiving a grant in excess of £100,000 towards a tailored leadership programme at the UK’s leading spoken word and poetry organisation Apples and Snakes where she is currently Commercial and Brand Director. Sharon is a Senior Lecturer in Media Psychology at the University of Salford. She has recently joined the Media Psychology team to continue and expand her research interests in Media Psychology at the heart of the media and digital scene within the University’s MediaCityUK campus. Prior to joining Salford, Sharon trained as a Social Psychologist at the University degli Studi di Padova in Italy. She then completed her PhD on the role of intergroup emotions (such as collective guilt and shame) on pro-social behaviour and reconciliation under the supervision of Professor Rupert Brown at the University of Sussex. Sharon was previously based at Canterbury Christ Church University in Kent, where she worked for four years cultivating her passion for the psychology of media and communication through working with colleagues at CCCU on two projects concerning media portrayal of climate change. Sharon also worked in collaboration with Professor James Curran from Goldsmiths University of London on a series of comparative studies in the area of media and communication. the legacy of Ethiopian Emperor Haile Selassie I living in Bath City, and Rastafari culture. Shawn has chapters and articles published in peer reviewed journals and books, and has spoken and exhibited at a wide range of conferences and events, nationally and internationally. He co-founded Firstborn Creatives production company in 1999 with Rob Mitchell, and made programmes for BBC 1, ITV West and Channel 4. 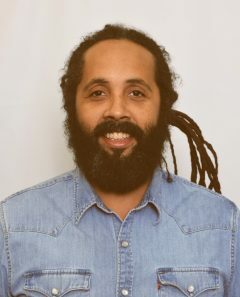 Shawn’s academic background has been in Film & Photography production (BA Hons, Newport), Anthropology of Media/ Theoretical Approaches to Social Anthropology (PG Cert, SOAS) and ethnographic explorations of community media education (PhD, UWE). Shawn says he primarily positions his work within the discourse of anthropology, though depending on the day of the week, he could be many different things! Listed by ELLE Magazine as one of “12 women changing the world“, Minna Salami is a Nigerian-Finnish writer and commentator, and the founder of MsAfropolitan, a multiple award-winning feminist blog. She is a member of Duke University’s Global Educator Network as well as the Guardian Africa Network and Guardian Books Network. 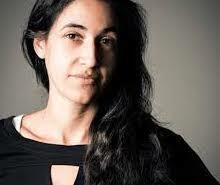 Her writing features in the Guardian, Al Jazeera and the Huffington Post. She is a board member of UK Charity For Books’ Sake and UK based think-tank and advocacy group Signifier UK. Salami is a 2016 fellow at Hong Kong Baptist University International Writers’ Workshop. As a speaker, Salami is a frequent guest at events and universities in South Africa, Norway, Nigeria, Gabon, Morocco, France, Sweden, Germany, Switzerland, China, Gambia, Austria, Belgium, the Netherlands and the USA. In 2014 she gave a TEDx Talk. Salami is listed as one of “40 African Change-makers under 40” by Applause Africa, one of “50 Remarkable Women Connected” by Nokia, one of “Nigeria’s 100 most influential women” by YNaija and one of the “Top 100 Most Influential Black People on Digital/Social Media” by Eelan Media. She is the Africa Diaspora Awards 2013 winner of the “Outstanding Achievement in Media” , as well as the Women 4 Africa 2013 “Blogger of the Year” and shortlisted “Blogger of the Year” by RED Magazine ‘Red’s Hot Women Awards’ 2012. Prior to founding MsAfropolitan in 2010, Salami had years of branding, marketing and project management experience in the creative industries, across different countries and continents. For two years, as a complement to the blog, she ran The MsAfropolitan Boutique, an online shop selling a wide range of products made by women of African heritage. The shop was launched as a tribute to the African Women’s Decade 2010 – 2020. She speaks five languages and has lived and worked in Nigeria, Sweden, Spain, New York and London, where she now resides. Jonzi D has been actively involved in British hip hop culture, rapping and b-boying in clubs and on the street since the early 1980s. Since graduating from London Contemporary Dance School, Jonzi has been committed to the development of hip hop theatre. He was an Associate Artist at The Place and has performed and created dance theatre pieces worldwide. Jonzi D is an Associate Artist of Sadler’s Wells and is based at the theatre. Jonzi devised and directed TAG… just writing name in 2006, IVAN in 2006 and Markus the Sadist, a rap theatre piece in 2009. All pieces have successfully toured the UK to critical acclaim. He has also devised, choreographed and featured in various hip hopinspired fashion shows. Jonzi D is the curator and host of the acclaimed Breakin’ Convention, the international hip hop dance theatre festival, nominated for a South Bank Show award and now in its tenth year. As an MC/poet, Jonzi D has worked with The Roots, Steve Williamson, Mannafest, Lenny Henry, MC Mell ‘O’ and toured with Gangstarr. 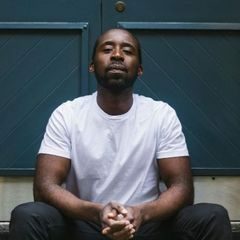 He appeared on HBO’s Def Poetry Jam, Channel 4’s Faking It, and his short films Silence da bitchin and Aeroplane Man were also screened on Channel 4. 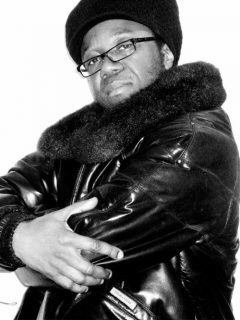 He is creator and host of the successful Apricot Jam and Vertika Cypher infamous hip hop music and open mic sessions. He presented the 2005 4Dance for Channel 4 and was recently the performance mentor for Urban Classic at Hackney Empire in February 2006. In 2007 he was listed as one of the top ten positive black musical role models by MOBO and directed a new piece, Hectic Dialectic, as part of the Rozamira Festival in Moscow. Having graduated from the University of Hull with a Masters degree , Mike Dowuona set about establishing a career incorporating music, business, product development, brands and innovation. Mike secured his first major label role working with EMI Digital Commercial, this included the deployment of Napster and iTunes partnerships, releasing the company’s first-ever digital products and fulfillment of landmark artist deals such as Robbie Williams’ global T-Mobile content deal and Queen’s watershed deal to launch their entire catalogue on iTunes. In 2009 as a UK VP, Mike left EMI to join forces with Lucid PR and founded Lucid Online. Lucid Online quickly grew to become the UK music industry’s leading independent. After establishing a multi-award winning team, Mike then consolidated the company fully to form the Lucid group which he steered over the following years as a Managing Partner. The longstanding success of the Lucid Group culminated in the formation of a partnership with Sony Music Entertainment and saw the Lucid board undertaking of operational responsibility for the RCA label in the UK. In 2013 Mike launched Crush, delivering global creative strategy for clients such as Lynx, V05, LG, Superdry, and Very from its London offices. Jasmine studied at Roehampton University in Surrey where she completed a BA Honours degree. 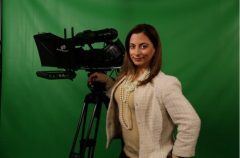 Currently she is executive news editor of the youth News TV Magazine Show London 360 at the Media Trust. Jasmine also hosts regular on-screen Arts & Culture reports for both Channel 4 News and London Live as well as Entertainment News punditry for Sky News. 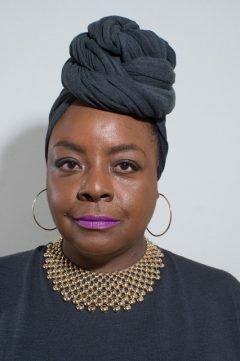 She sits on the RTS Futures (Royal Television Society) committee, MOBO Awards Judging Committee, BET International Judging panel, Ivy Club Committee and was an original member of the MTV Diversity Board. Jasmine has also been requested to speak at House Of Lords on media subjects around inclusivity and diversity. Jasmine continues to chair and appear on panels around television, youth and diversity themes. Jasmine began her career on Channel 4’s long-running morning show The Big Breakfast before making her television presenting debut on the notorious 1990s youth cult show The Word. Following her stint at The Word, Jasmine moved to MTV Europe where she was a presenter for MTV News, before becoming Senior Producer-Director for many of MTV International’s flagship TV shows including ‘Making the Video’, ‘MTV Cribs’, ‘MTV’s Diary Of’ and ‘MTV News Specials’. In 2000 she became the Senior Series Producer/Director of MTV News Specials’ where she hosted, produced and directed MTV shows. In 2006 Jasmine took the role of MTV’s Urban Music Specialist and Head Of MTV Base where she overhauled the brand, bringing in new presenters. Following that role she went on to produce and direct programmes for Channel 4 and ITV.